For the first time in 70 years, California has surpassed Florida in citrus production. Florida groves have been decimated by a disease called huanglongbing (HLB), or citrus greening disease, that threatens citrus production in California, too. Slupsky and other UC Davis experts are working with farmers and fellow scientists to develop early detection methods, boost tree immunity and find a cure for the devastating disease. California farmers sold nearly 4 million tons of citrus in the 2016–17 marketing season, compared to 3.5 million tons from Florida, according to the U.S. Department of Agriculture. Florida produced twice as much citrus as California as recently as the 2011–12 season. Florida didn’t lose its top spot because the Golden State is producing more citrus. In fact, California farmers produced 14 percent fewer fresh oranges this season. Citrus greening disease is caused by a bacterium that is spread by the Asian citrus psyllid, a tiny insect that feeds on the leaves and stems of citrus trees. A tree infected with HLB can live for years without symptoms, allowing the pathogen to spread undetected to other trees. Symptoms emerge over time as a tree’s fruit starts to turn green and misshapen with a bitter, metallic taste. HLB is a global threat. Beyond Florida, the disease has destroyed groves in Asia, Brazil and the Dominican Republic. The disease has been spotted in about 250 backyard trees in Southern California, but so far California’s commercial orchards have been spared. Researchers are hard at work to keep it that way. 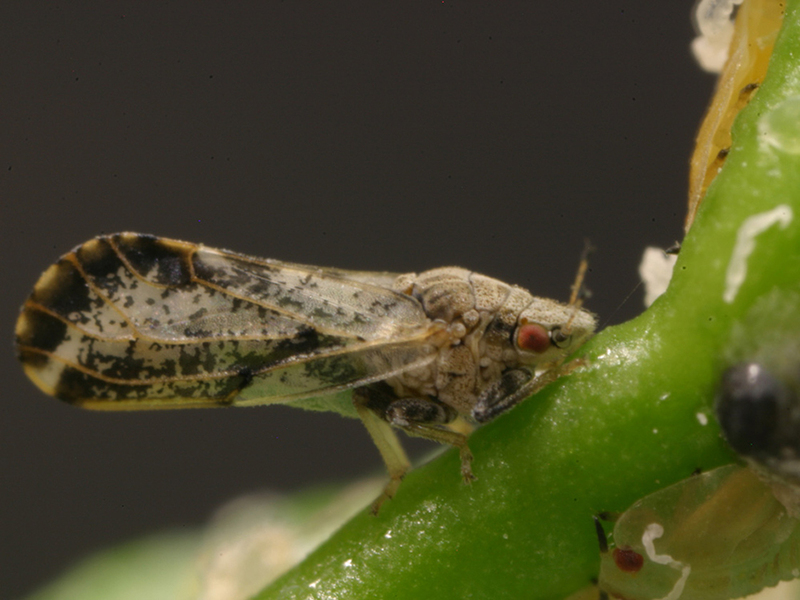 An international team of scientists led by UC Davis chemical ecology expert Walter Leal recently identified the molecule that attracts the Asian citrus psyllid, which may help researchers develop a less toxic way to trap the insect to slow the disease’s spread. Slupsky is taking a different tack. She and her team are using nuclear magnetic resonance technology to study how the pathogen affects the metabolism of the tree. Her research shines a light on HLB’s mode of attack. Working with Kris Godfrey, an associate project scientist at the UC Davis Contained Research Facility, and Michelle Heck at Cornell University, Slupsky found differences in the chemical fingerprint of leaves starting very early in the infection process. With further research, she believes that she can develop a chemical profile to provide a reliable, rapid and early indicator of the presence of infection. Breeders are working to develop HLB-resistant rootstock, which is one of the most promising avenues to a cure. Researchers are also looking at whether they can transform the psyllid to prevent its ability to spread HLB. UC Davis plant pathologist Bryce Falk is leading a search to find and engineer viruses that can induce traits in the insect that prevent it from transmitting the bacterium. Breeding rootstock and engineering viruses takes time. 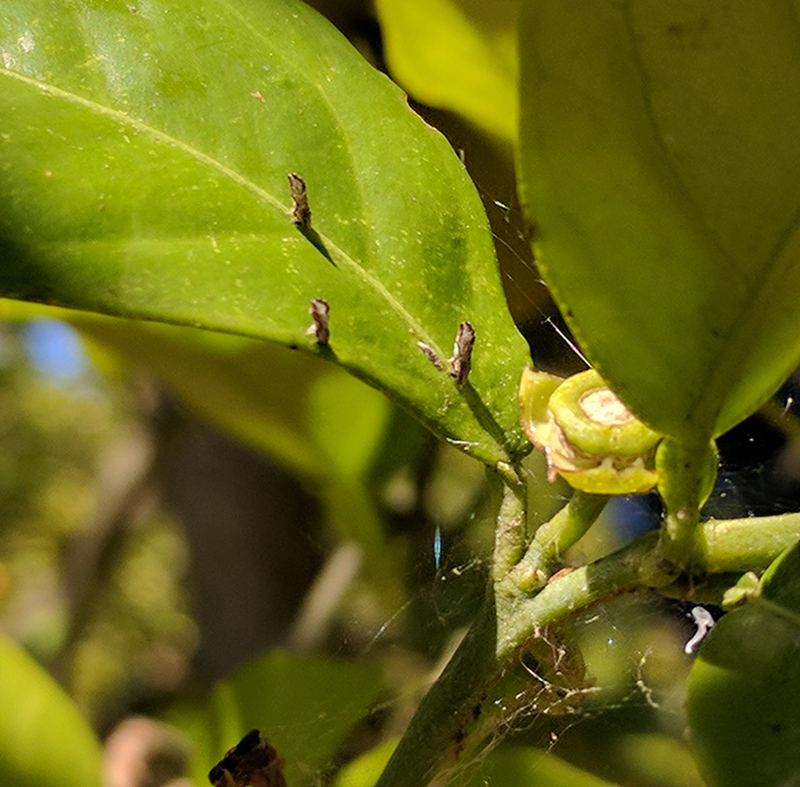 In the meantime, backyard citrus growers can help keep HLB at bay by monitoring their trees for signs of psyllids or infection and removing trees that are infected or near infected trees. How can you recognize signs of the disease? This website provides photos and tips on what to look for and how to control the pests. Slupsky says that together, farmers, gardeners and science can help save citrus and the nourishment it provides.